This summer has definitely been the summer of Black Mask and their breakout hit ” We Can Never Go Home”. There have been no less than 20 variants for the #1 issue and some of them as you already know are almost impossible to find. The 1st print pictured below is hitting $30-40 raw in NM condition right now, and surprisingly there aren't a lot of copies hitting eBay surprisingly. According to Comichron.com there are 4,181 copies of the 1st print. Here is where things get interesting. A lot of retailers including Midtown weren't aware that Black Mask did a ratio variant for this book. There is a 1:5 (pictured below) which in theory should mean there are only 836 copies in circulation. If the 1st print copy is hitting $30-40 this should be reaching the $100 mark but it isn't yet. Many people think this is a store or con exclusive variant and I don't blame them. The crazy thing is there is another even harder to find variant out there. Black Mask released a 1:10 variant with the 1st print and the 1:5. Most stores only ordered 3-5 copies of this book due to it being a new title from a new publisher. The 1:10 is incredibly difficult to find and according to my elementary math skills, there in theory should only be 418 copies. Again how many stores ordered 10 copies of this book honestly? I have seen 4 total on eBay in the last 90 days and I don't think people realized what they had. Midtown shipped the regular, 1:5, and 1:10 as random covers not knowing the variant ratio program from what I was told yesterday by a person who's in the know. 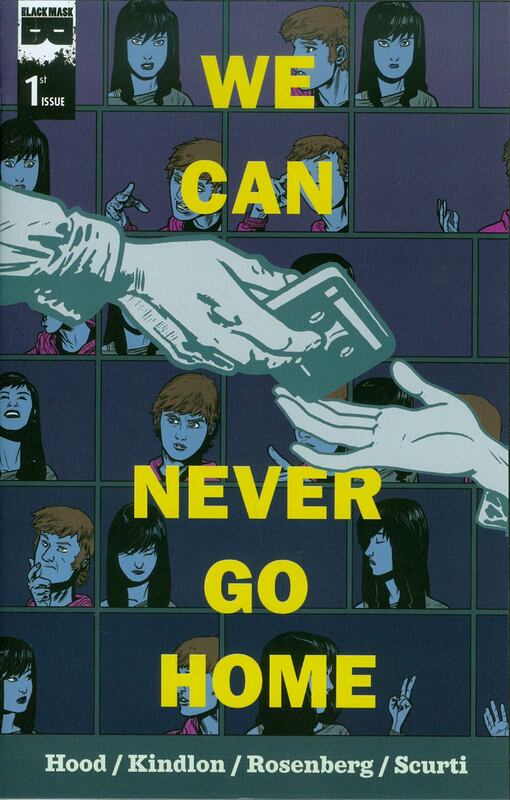 This book is severely under-priced right now and is due for a huge market correction. I haven't been able to procure one as of yet and have been looking diligently. I suggest picking up any of the 3 books from week one if you can find them. Granted this is a mini-series, and mini-series usually lose steam once it's over (Enormous, Wool anyone?) This book and Young Terrorists have made it the summer of Black Mask and I don't see it slowing down. For those of you who read the article, finding this hidden part should be no issues. These two books are the crème de la crème and only a very few people are aware of them. 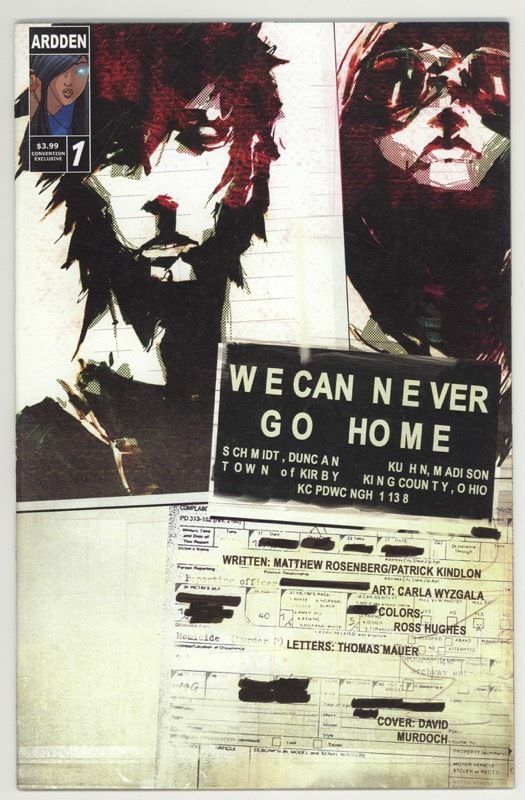 Much like The Spread from Image last year, Black Mask sent a few stores an exclusive preview edition of “We Can Never Go Home #1” It has the full issue inside, but also a few other bits of information about the book and company from what I have been told. 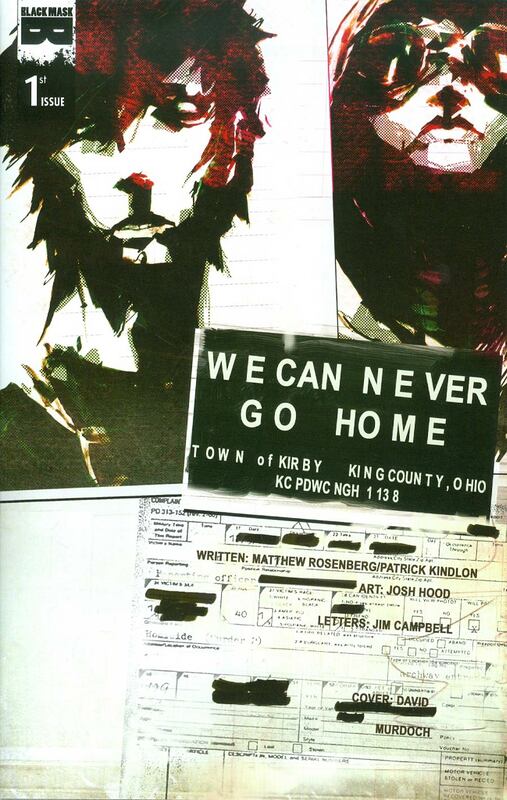 Supposedly there are 105 copies of this book (a CGC member posted this, but I can't confirm the total). If that is indeed the case, this is the book to own from the series. There is also an Ash Can variant of the 1:5 floating around with the logo Ardden Convention Exclusive. I have only seen one copy and it's on eBay right now with a pretty crazy price. If anyone has any information on the two books above please chime in on the comments. Sadly I sold my 2 slabbed 1:5 9.8s a while back. They sold almost instantly upon listing. Haven’t seen any out and about since. Have a few #3 9.8s and after the initial hubbub, by the time they came back from Florida, there hasn’t been a ton of interest. Ha tell me about it. Sadly, I was the one that had to put off on buying one of your books and when I asked it was already sold. 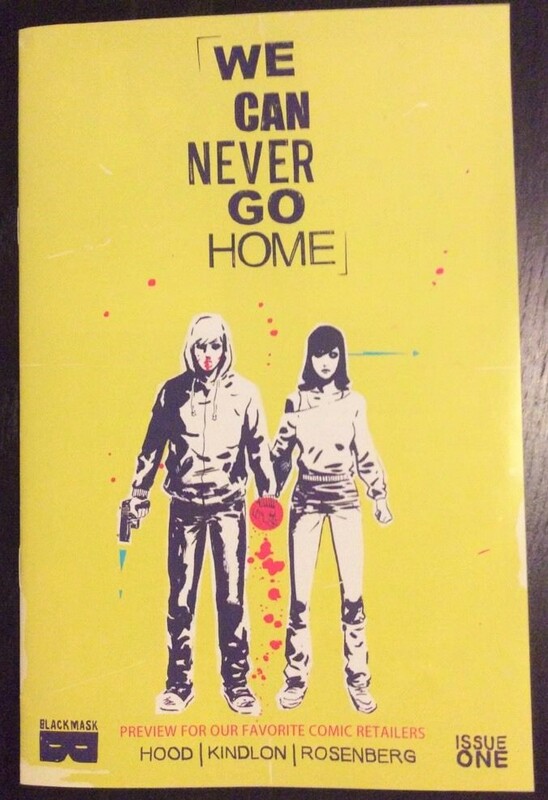 Love this series, the 1 in 5 cover is sweet, always been a sucker for yellow covers, the 1st print, regular cover, is my favorite one. Amazingly, I found 3 copies of cover A and 2 or 3 copies of B and C a few weeks ago. I picked up all Cover As but only 1 each of B and C. I hope they’re still there in a few weeks when I go back! Very interesting & good information. What about the Books-A-Million variant? My local BAM had about 3 copies of their #1 variant a few weeks ago when I bought mine and sold all of them within a few days. very good info, as usual! I think they are no longer in business but know the owner Rich Emms run a comic shop near me. Unfortunately we fell out about 5 years ago, otherwise I would hit him up for some info. I just found a copy of the Ardden Convention Exclusive in a back issue bin for $4. 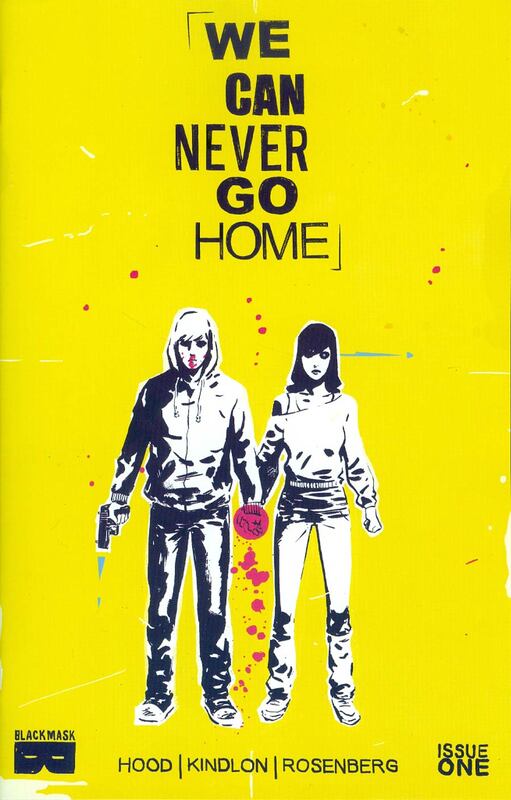 WE CAN NEVER GO HOME #1 Microprint Phantom Variant Ltd To 50 Black Mask and Bad Brains version.